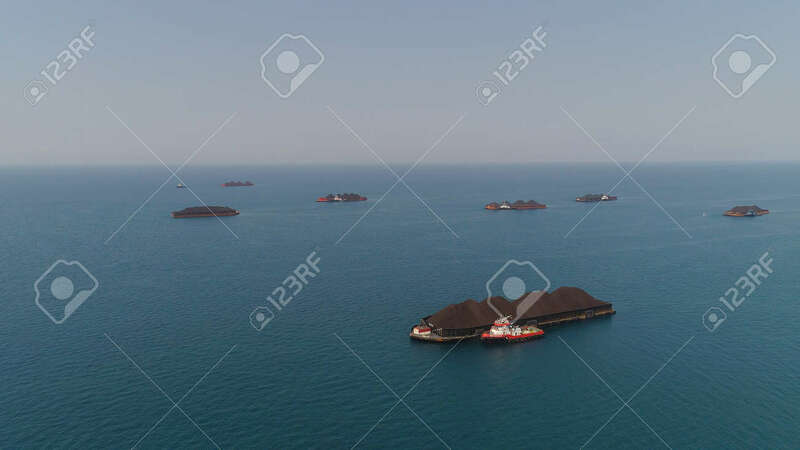 Aerial View Barges Full Coal Anchored At Sea Near Coal Fired Power Station Waiting Be Transported. Coal Barges And Tugboats Java, Paiton Indonesia Lizenzfreie Fotos, Bilder Und Stock Fotografie. Image 115258476.